Perhaps best known for his role as Lieutenant Jacobi in the television series, Peter Gunn, Herschel Bernardi was born into a Yiddish theater family in New York City. 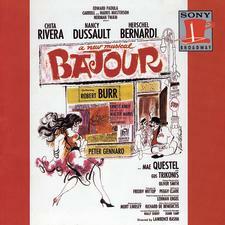 Blacklisted in the 1950s, Bernardi later found a home on Broadway, landing in a starring role as Cockeye Johnny Dembo in the 1964 musical comedy, Bajour, with Chita Rivera and Nancy Dussault. Based upon stories by New Yorker writer Joseph Mitchell, the musical featured a book by Ernest Kinoy and words and music by Walter Marks. 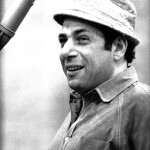 Bernardi later replaced fellow blacklistee Zero Mostel in 1965 as Tevye in the original Broadway production of Fiddler on the Roof and then starred as Zorba in the Broadway musical of the same name.